The Samson Option the term used to describe Israel’s alleged deterrence strategy of massive retaliation with nuclear weapons as a “last resort” against nations whose military attacks threaten its existence, and possibly against other targets as well. Israel refuses to admit it has nuclear weapons or describe how it would use them, an official policy of nuclear ambiguity, also known as “nuclear opacity.” This has made it difficult for anyone outside the Israeli government to definitively describe its true nuclear policy, while still allowing Israel to influence the perceptions, strategies and actions of other governments.and why In 2005 Vanunu charged with violating the terms of his release by giving interviews to foreign media and defying a travel ban. Israel’s Secret Weapon was broadcast on BBC Two on Monday, 17 March, 2003. Israel’s nuclear, biological and chemical capabilities have remained un-inspected.Born in Marrakesh, Morocco in 1954, Vanunu was a nuclear technician in Israel when he disclosed Israeli nuclear secrets to western media in 1986. He went into hiding in Italy but was kidnapped by Israeli secret agents and convicted of treason in Israel, where he spent eighteen years in prison. He was released in 2004 but has been re-arrested on several occasions for alleged breaches of restrictions placed on his speech and movements. Amnesty International classified him in 2007 as a prisoner of conscience. Mordechai Vanunu was an employee at Israel’s nuclear reactor at Dimona. In 1985, before leaving his job, he took photographs inside the facility. He completed his sentence in Israel’s Ashkelon Prison on April 21, 2004, but the Israeli government imposed severe restrictions on his movement and speech, including the condition that he is not allowed to leave the country because he is still considered a security threat. In March 2005, an Israeli court charged Vanunu with violating the terms of his release by giving interviews to foreign media and defying a travel ban. Now living in Jerusalem’s St George’s Anglican cathedral, Vanunu is banned from using the internet or mobile phones, and may not approach embassies or borders. 1. over exaggeration of the power of Israel, and the fear that instills in people. 2. the mixing of UFOs, Aliens and Ghosts along with some of his version of the truth about Zionist Criminals. 3. has lots of strange friends (Mossad/CIA) as mentioned in allot of his work. 55000 YEMENITE JEW IN 1948 DECREASED UP TO 1000 IN 1976. WELL SOME MIGHT HAVE MIGRATED TO SAUDI. NO ONE CAN DISTINGUISH YEMENITE JEW AND ARAB. Dr. Derek Summerfield is an honorary senior lecturer at London’s Institute of Psychiatry and a teaching associate at the Refugee Studies Centre at the University of Oxford. In an October 16, 2004 editorial of Summerfield’s published by the British Medical Journal, concerning what he described as the level of Israeli violence against Palestinian children generated allot of attention. After the Interview the interviewer asks the first caller “what is your question Mr. Mohamed From Dubai?” Mr. Mohamed’s reply “it’s more of a comment i guess, I think it’s great that you are showing us this but why is this and other programs like it are not shown on your English channel or website?” the interviewer quickly dismissed the caller and answers a dropped line (no one on the other end) and explained why all the callers to the show were no longer on, because they made them hold for too long. I am writing to you on behalf of BRICUP, an organisation of UK based academics whose mission is to support Palestinian universities and to oppose the continued illegal Israeli occupation of Palestinian lands- with its concomitant breaches of international conventions of human rights, its refusal to accept UN resolutions or rulings of the International Court, and its persistent suppression of Palestinian academic freedom. 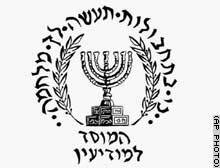 In 2004 nearly 60 of the most prominent academic, cultural and professional associations and trade unions in the Occupied Palestinian Territories, including the Federation of Unions of Palestinian Universities’ Professors and Employees and the umbrella organisation of Palestinian Non Governmental Associations, came together to issue an appeal to colleagues in the international community. This was for a comprehensive and consistent boycott of all Israeli academic and cultural institutions as a contribution to the struggle to end Israel’s occupation, colonisation and system of apartheid. Excluded from a boycott would be Israeli academics and professionals who disassociated themselves from what their state was doing. I have been involved with the Occupied Territories for the past 13 years. One struggle, alongside Palestinian and Israeli colleagues, was to highlight the use of torture by Israel as an instrument of state policy, which Amnesty International and a slew of reputable international and regional human rights organisations had long since proved was institutionalised in the interrogation suites handling large numbers of Palestinian detainees every year. Amnesty also concluded that the role being played by Israeli doctors working in and around these interrogation suites were fundamentally at odds with medical ethics. Amnesty, and others, who approached the Israeli Medical association (IMA) to urge them to take a stand were consistently rebuffed. This too has been my experience when I published articles in mainstream medical journals- notable the British Medical Journal and the Lancet. In response to one of these, published in the Lancet, the longstanding president of the IMA Dr Y Blachar actually justified the use of “ moderate physical pressure”, the euphemism in Israel for torture! The moral position and strategic line taken over many years by the IMA was well captured by a remark made by Professor Eran Dolev, than IMA Head of Ethics (yes, Ethics!) in an interview in 1999 with a visiting delegation from the Medical Foundation for the Care of Victims of Torture, London (for whom I was principal psychiatrist for 9 years). Prof Dolev stated that that “a couple of broken fingers” during the interrogation of Palestinians was worthwhile for the information it might garner. When I published this in the Journal of the Royal Society of Medicine, verified by those present at the interview, Dr Blachar defended Prof Dolev. When challenged in the BMJ or Lancet, the IMA continues to maintain that there are no medical ethical concerns arising out of the conduct of the Israeli army towards the Palestinian general population? Dr Blachar openly labels me (at bmj.com) and others as motivated by anti-semitism and near Nazi sentiments. Yet the IDF operates in a climate of near total impunity, with disproportionate force directed implacably towards the civilian population: over 3500 shot dead in the last 5 years, including over 600 children. The recently published testimonies of the ‘Breaking the Silence’ group of ex-soldiers attest to shoot-to-kill policies that give the lie to Israeli Defence Force (IDF) mantras about minimising the risk to civilians. A veritable mass of documentation now confirms systematic and ongoing violations of the medical ethical sections of the Fourth Geneva Convention. There have been many deaths of seriously ill Palestinians, and of newborn infants, at army checkpoints because they were denied access to hospital. Palestinian health professionals have been shot dead or wounded on duty. Ambulance drivers on duty are interrogated, searched, threatened, humiliated and assaulted. Wounded men have been taken from ambulances at checkpoints and sent directly to prison. There have been cases where ambulance drivers have been forced to act as a human shield against stone throwers, and on other occasions Israeli soldiers have commandeered ambulances as transport. On hundreds of occasions ambulances of the Palestinian Red Crescent society have been hit by IDF gunfire. On the 1st April 2004 the IDF fired missiles at Bethlehem psychiatric hospital, which had 250 patients and 75 staff present at the time. There was extensive damage and staff were arrested. Clearly identified medical clinics, including those run by the aid agency Medecins Sans Frontieres, have been hit by gunfire. The International Committee of the Red Cross and other aid agencies have at times been forced to limit their work in the West Bank because of threats to staff and attacks on vehicles by the IDF. There has been wilful hampering of the distribution of food aid, on which half a million people are now dependent. A study by Johns Hopkins and Al Quds Universities found that 20% of Palestinian children under 5 years old were anaemic and 22% malnourished. The IDF has also wilfully destroyed water supplies, electric power and other elements of the public health infrastructure. The continued building of the apartheid wall and fence has hugely damaged the coherence of the Palestinian health system. Bar the commendable Israeli doctors of Physicians for Human Rights, a minority group, these grave matters have attracted no condemnation from the medical profession in Israel, with their academic bases in Israeli medical schools and research institutes. Many of these doctors have international academic connections, and unlike their Palestinian counterparts their movements are unhampered, their respectability and probity unchallenged. Why is this? Indeed Israeli universities have maintained a studied silence about the tremendous harm done over many years to the capacity of their Palestinian counterparts to run as universities should run: the restrictions, the prolonged closures, the damage to property, the campus incursions by the IDF, the arbitrary expulsions, the harrassment and shooting of students on their way to lectures? We must sadly conclude that with honourable exceptions most doctors and medical academics are in active or passive collusion with an aggressive colonisation, with the control and,increasingly, the frank crushing of every sector of Palestinian civil society, and with a self-justifying discourse that trades on a dehumanising contempt for Palestinian as people in a different moral universe. One central thread to the work of both Edward Said and Noam Chomsky, both truth tellers of our times, concerns the role of the academic and professional institutions of the Western world. These have seemed to embody the promise of an independent moral authority within a society, but in practice have generally acted to confer legitimacy to the dominant order and its interests. We see this starkly in Israel (though no less starkly, it might be added, in USA and UK). So what are we to do? The situation in the Occupied Territories has become grotesque and promises to get worse. Repeated efforts to reach out to the medical establishment in Israel has largely been unavailing, as my own experience bears out unambiguously. We do not lightly call for stigmatisation via an academic boycott but things have surely come to this. If not now, when? It was at a moment like this that calls went out (and there was considerable opposition then too) for the academic isolation of South Africa during the apartheid era. This rightly included a boycott of the medical profession for collusion of a very similar nature to what we see today in Israel. For instance, the Medical Association of South Africa was for a time suspended from membership of the World Medical Association, the official international body charged with overseeing medical ethics. On visits out there in recent years (I am South African born) I have heard it said more than once that the boycott played a distinct role in bringing the profession to its senses. As in South Africa, the Israeli medical profession, and the establishment generally, is sensitive to opinion in the Western world, not least from fellow doctors. An academic boycott in an extreme situation is a moral and ethical imperative when all else has failed, for otherwise we are in effect turning away. It is not contrary to “academic freedom”, as some assert, but in its very spirit. Any Israeli doctor who publicly disassociates him or herself from state practice is not only exempt from boycott, but becomes part of the solution rather than part of the problem. HA’ARETZ Article By Yossi Melman Five Israelis who had worked for a moving company based in New Jersey are being held in U.S. prisons for what the Federal Bureau of Investigation has described as ‘puzzling behavior’ following the terror attack on the World Trade Center in New York last Tuesday. The five are expected to be deported sometime soon. Five Israelis who had worked for a moving company based in New Jersey are being held in U.S. prisons for what the Federal Bureau of Investigation has described as ‘puzzling behavior’ following the terror attack on the World Trade Center in New York last Tuesday. The five are expected to be deported sometime soon. The families of the five, who asked that their names not be released, said that their sons had been questioned by the FBI for hours on end, had been kept in solitary confinement for three days, and had been humiliated, stripped of their clothes and blindfolded. The mother of one of the young men explained the chain of events as she understands it to Ha’aretz: She said that the five had worked for the company, which is owned by an Israeli, for between two months and two years. They had been arrested some four hours after the attack on the Twin Towers while filming the smoking skyline from the roof of their company’s building, she said. It appears that they were spotted by one of the neighbors who called the police and the FBI. The mother said that the families and friends of the five in Israel had known nothing of the men’s whereabouts for a number of days. “When they finally let my son make a phone call for the first time to a friend in the United States two days ago, he told him that he had been tortured by the FBI in a basement,” the mother said. “He was stripped to his underwear; he was blindfolded and questioned for 14 hours. They thought that because he has citizenship of a European country as well as of Israel that he was working for the Mossad [Israel’s secret service].” Seven FBI agents later stormed the apartment of one of the Israelis, searched it and questioned his roommate. The Israeli owner of the company, who has U.S. citizenship, was also questioned. Both men were subsequently released. The families here complained that the Israeli consulate in New York and the situation room set up by the Foreign Ministry there to locate missing Israelis had done nothing to help their sons. The Foreign Ministry told the families that the FBI had denied holding the five and that the consulate had chosen to believe the FBI, the mother said. The five were transferred out of the FBI’s facility on Saturday morning and are now being held in two prisons in New Jersey by the Immigration and Naturalization Services. They are charged with illegally residing in the United States and working there without permits. The Foreign Ministry said in response that it had been informed by the consulate in New York that the FBI had arrested the five for “puzzling behavior.” They are said to have had been caught videotaping the disaster and shouting in what was interpreted as cries of joy and mockery. the five dancing israelis, the art students who were pulled over in a van which had bomb material that made the police dogs go nuts, or how Michael Chertoff set these Criminal jews free after they were detained. and then these Criminal appear on Israeli TV to explain how they were ready to film the disaster? “We were there to document the event.” can that be done without prior knowledge?.